Eric Cantor (R-VA) is undoubtedly the among the most ignorant members of Congress when it comes to the Constitution of the USA and rights of the people. Broadly he condemns any democratic demands for justice and repeals the right of people to “form a more perfect union”: a republic for all. It is doubtful that Cantor has read, even recently, the preamble to the Constitution of the USA. This is apparent in his blast of hatred in chastising the right of USA citizens’ to peacefully assemble and air their grievances, as guaranteed by the First Amendment of the Constitution of the USA. 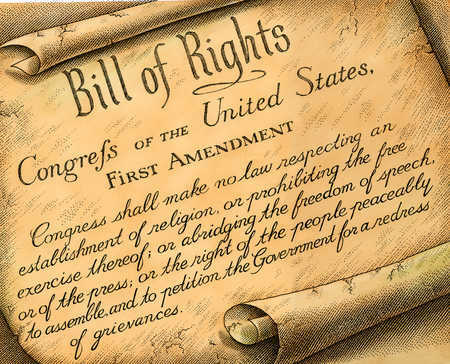 The First Amendment is not only about “freedom of religion” (and freedom from religion), but is about the rights of all citizens to speak freely and to assemble to exercise their freedom of speech, assembly, petition and create signs, and so forth (the freedom of the press). Eric Cantor (R-VA) calls USA citizens "mobs"
Cantor’s comments are slanderous, and treasonous to the extent that Cantor’s hate speech can/could bring about violence, confrontation, and a damaging uprising (Article III, section 3 of the US Constitution clearly notes that it is treasonous to give aid and comfort to the enemy, but all qualifiers: aid, comfort, and enemy requires further detailing. The First Amendment to the U.S. Constitution guarantees the right of all Americans to advocate the violent overthrow of their government unless such advocacy is directed toward inciting imminent lawless action and is likely to produce it (Brandenburg v. Ohio, 395 U.S. 444, 89 S. Ct. 1827, 23 L. Ed. 2d 430 ). Cantor’s use of “mobs” implies immediate lawlessness), but not libelous as he did not write the words on any media (that I am aware of at this time). 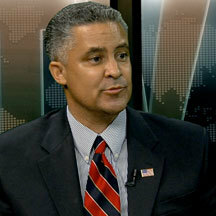 Any Constitutional lawyer could petition the Virginia bar to remove him from accreditation. The US House could censure him as freedom of speech does not pardon slander nor treason: any act going against the US Constitution and the citizens of the USA. Cantor’s speech goes against the right of those who occupy Wall Street to freedom of speech, assembly, and petition, all guaranteed in the US Constitution. 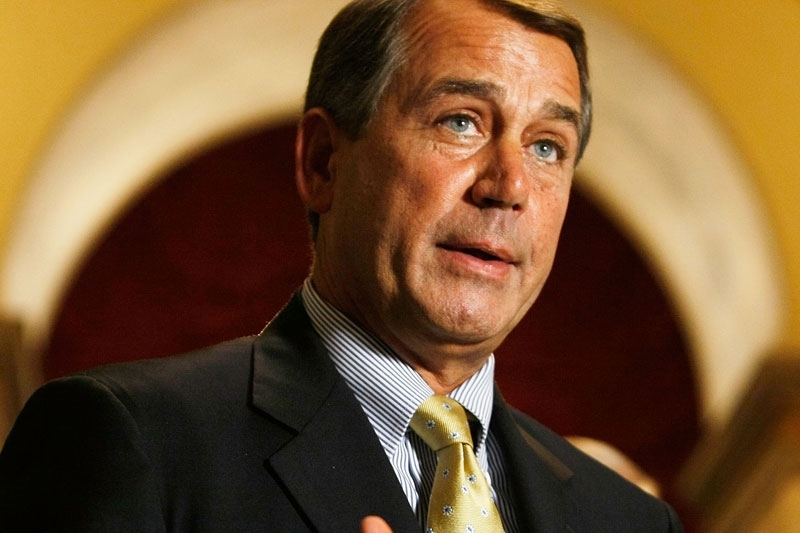 In this reference he is supported by Speaker John Boehner (R-OH) who grew up impoverished (he shared a single bathroom with eleven other children) and was the first to graduate (BA in Business Administration) in 1977 from a Roman Catholic university (Xavier) where religious studies continue to be more important than sound academic learning. Like Cantor, Boehner denounced “the mobs” that had taken over Wall Street, claiming that the banks that are beginning to charge $5 a month to possess a debit card would help create jobs. Americans have the right to protest peacefully (except in the State of New Hampshire where Article 10 of the New Hampshire Constitution does permit the armed uprising of its citizens to overthrow the government–a right that should be part of the Constitution of the USA). Eric Cantor, assuredly, is among the most weakly trained citizens in the USA on USA history–on par with Sarah Palin and Michele Bachmann, and not far from Speaker John Boehner who has no regard for the majority but declares he will maintain minority rule in the USA for the privileged few, in one of many instances where the House Republicans declared that they would raise the salary cap of the lawyer hired to defend DOMA (that the majority of USA citizens disapprove of and want scrapped, believing that all USA citizens have the right to wed whomever each wishes to marry) to $1.5 million and is triple the amount that the GOP had previously pledged to spend)–at the expense of USA taxpayers. If Cantor even had a fifth grade education in USA history, Virginia’s representative would know that the USA came into existence because of mob action. 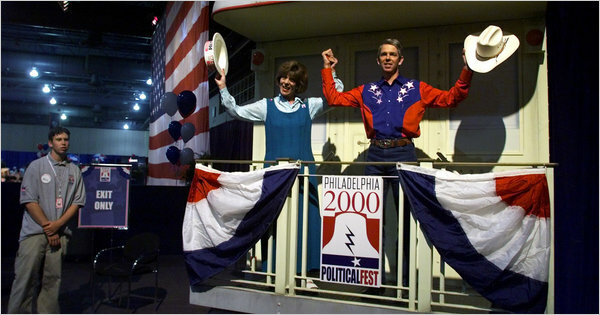 Cantor, like Michele Bachmann and Sarah Palin, only cite the history that they believe in–that which is revised by “historians” with little to no scholarly credentials, such as David Barton who is also an evangelical minister and founder of WallBuilders who has no formal education nor degrees in history or law and uses distorted history to push his evangelical agenda. Cantor, like the Tea Party of Boehner and The Family of C Street in Washington, DC, selectively ignore that it was “the mob” that protested against special tax cuts and incentives to big businesses that were aligned with the monarchy in England. The East India Company was granted a Royal Charter, under the name Governor and Company of Merchants of London Trading into the East Indies, by Elizabeth I on 31 December 1600. By the eighteenth century, it had become a megacorporation the size and corruption as exists today in Koch Industries. By 1770, the East India Company was experiencing huge financial losses. To avert bankruptcy the directors of the company appealed to Parliament for financial help, in the same way that AIG and the banks appealed to the Obama Administration. Parliament, among the most corrupt institutions of the eighteenth century agreed, and passed the infamous Tea Act of 1773. This subsidy gave the Company greater autonomy in running its trade in the colonial new world that today is the Americas. Furthermore, the Tea Act allowed the Company to be exempt from tea import duties which its colonial competitors were required to pay, thereby stifling competition as is increasingly common today with hostile take-overs, especially by the Koch Brothers: Charles and David. When American colonists, who included tea merchants, were told of the act, they tried to boycott it. This was denounced in Parliament as “mob action.” The “mob” was chastised verbally by Parliament that claimed tea prices were falling. To suppress dissent the Speaker rose to strengthened the odiously opportunistic legislation known as the Townshend Acts. By revalidating these Acts, Parliament set a precedent for the king to impose additional taxes in the future, much as the banks have used legal loopholes to charge customers a fee (a nice word for a tax) on using debit cards that already have a balance that can be drawn on (the reverse of a credit card). 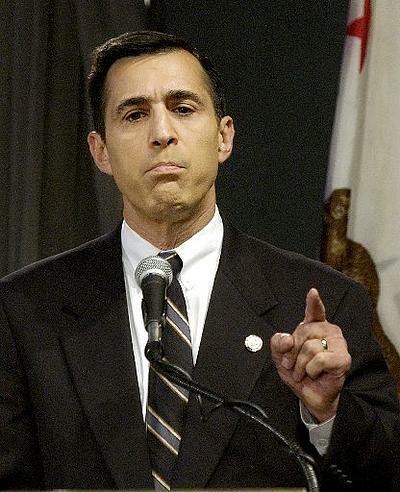 It was mob action that led to the famous Tea Party–to stop the wealthy corporations from benefiting from government subsidies and tax breaks, as happened in the USA when George W. Bush pushed through numerous tax breaks for the rich–many of whom sat or still sit in Congress, such as Darrell Edward Issa (R-CA) who is among the richest congressional representatives in the history of the Congress of the USA (he was, formerly, a CEO, Chief executive officer, for Directed Electronics), and is worth more than $451 million, having profited when a fire destroyed his business and its inventory in 1982 in Ohio. It was “the mobs” of angry, abused colonialists that went onboard the East India Company ships, hoisted barrels of tea belonging to the East India Company to their shoulders on December 16, 1773, and dumped the load into Boston Harbor. Parliament responded in 1774 with the Coercive Acts, which, among other provisions, closed Boston’s commerce until the British East India Company had been repaid for the destroyed tea. The mob refused and responded to the Coercive Acts with additional acts of mob protest. The single biggest and most important mob gathering came when the First Continental Congress was convened on September 5, 1774, at Carpenters’ Hall in Philadelphia. It’s initial move was to petition the British monarch to repeal the Coercive Acts. When this was rejected the mob, assembled as representatives of the colonialists, moved in mob action to separate from the Crown of England and form a new nation. It was “the mobs” that Cantor and Boehner and their Republican fanatics so despise that stood at Lexington and Concord so that there would be a “shot heard round the world” (a phrase coined by Ralph Waldo Emerson in his Concord Hymn) initiating a Revolutionary War (1775-1783). It was the mob of colonialists who met to sign the Declaration of Independence. It was the mob who met in Philadelphia who adopted on September 17, 1787, the US Constitution, and created the United States of America. 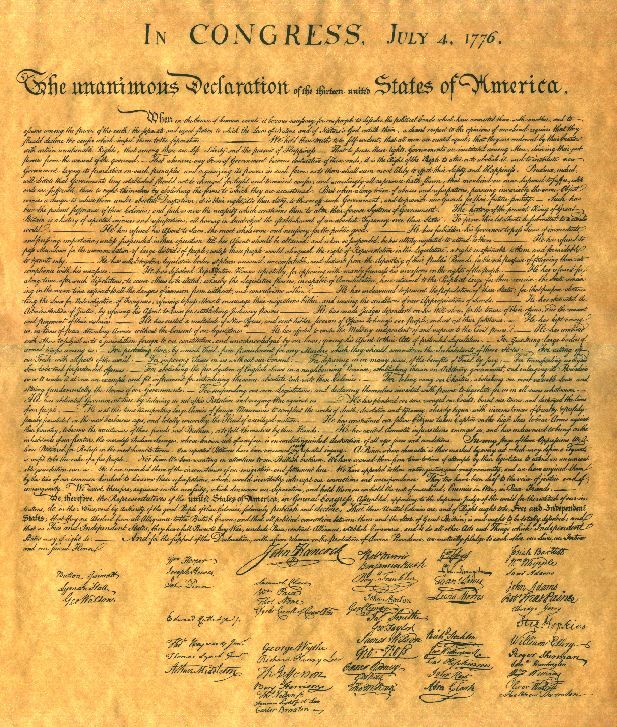 Because of the belief by the Founders of the USA that “all men are created equal” (Declaration of Independence; attributed to Thomas Jefferson), that the mob started the Constitution of the USA that was more explicit: with praise of the mob. The Constitution of the USA starts “We the people….” Only later, when industrial and financial barons, wealthy farmers and the rise of the superrich (Carnegie [coal], Rockefeller [oil], et al.) was the Constitution read narrowly: people being truncated into males–thereby necessitating additional amendments that specifically enfranchised Black males (14th Amendment) and women (19th Amendment), and allowed for the direct election of US Senators by all people (17th Amendment; an amendment that many Republicans want stricken from the Constitution, led by Rick Perry who argues that the common people have too much control of Congress–which he believes should be controlled by state legislators). Eric Cantor is either utterly ignorant of USA history or a traitor to the principles of equality and justice for all–with the Bill of Rights, adopted by the House of Representatives on August 21, 1789 and came into effect as Constitutional Amendments on December 15, 1791, through the process of ratification by three-fourths of the States, guaranteeing to all USA citizens the right of free speech, free press, free assembly, as well as freedom of religion. To defame those who are protesting on Wall Street as is being done by Cantor is to sling dung upon the Constitution of the USA. 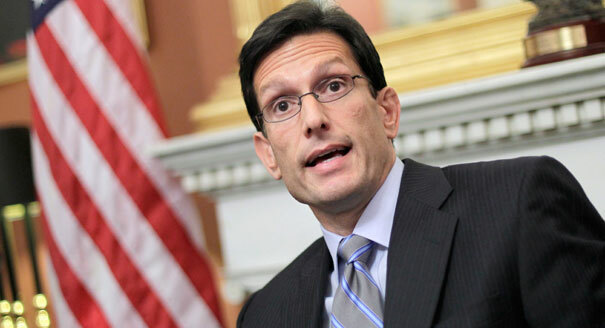 Eric Cantor has cast unforgivable aspersions on the people of the USA who are making their voices known. 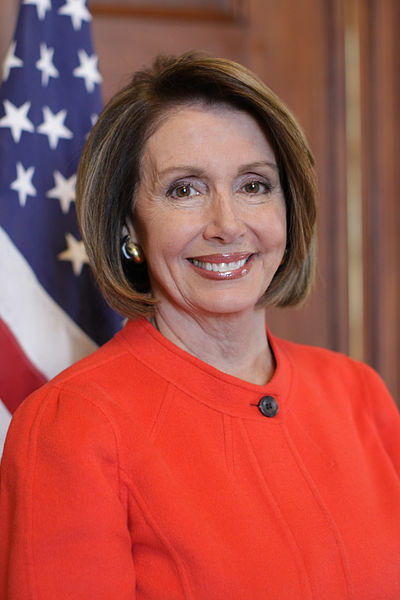 Fortunately, there are a few brave patriots, like Nancy Pelosi (D-CA), who understand the need for people to express themselves, and offer their support to the patriots occupying Wall Street, and said: “God bless them for their spontaneity. It’s young, it’s spontaneous, it’s focused and it’s going to be effective”.House Democratic Caucus Chairman John Larson, the fourth-ranking House Democrat, praised the thousands who have flooded Wall Street. He noted that the protests were aimed at the heart of the financial sector, and stated, “The silent masses aren’t so silent anymore. They are fighting to give voice to the struggles that everyday Americans are going through,” Larson, a Connecticut Democrat, said. “While I don’t condone their every action, I applaud their standing up for what they believe in.” New York Democratic representatives and to Congress and organized labor, teachers, and other groups including retirees equally expressed their support for freedom of speech, while New York´s Republicans claim that the Tea Party was the true voice of the people and that the youth and teachers occupying Wall Street were traitors seeking class warfare. 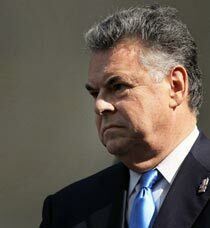 Peter King (R-NY) claims the demonstrations are antiAmerican. King, the darling of the far right and the Tea Party told reporters that he was “old enough to remember what happened in the 1960s when the left-wing took to the streets and somehow the media glorified them and it ended up shaping policy.” He added, “We can’t allow that to happen” regardless of what steps had to be taken to put down Cantor´s mob. This was the same thinking of the directors who worked for Carnegie and called in the Pinkerton Detectives to silence labor leading to a pitched battle at Homestead, Pennsylvania, and it follows the pattern set by Adolf Hitler when he announced his plans for uniting the German-speaking people into one nation (Großdeutschland; the Heim ins Reich initiative) by silencing all opposition (cf. Hitler, Adolf. Mein Kampf vol. 2, chapter 4). 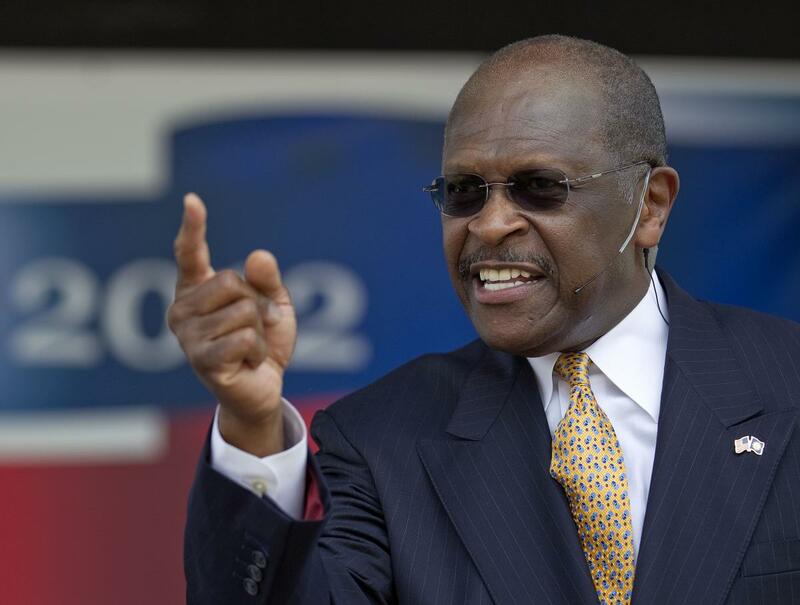 Herman Cain, Republican presidential candidate¨and once CEO of Godfathers Pizza and Baptist preacher, said of the thousands (including teachers of US history) occupying Wall Street: “Don’t blame Wall Street, don’t blame the big banks, if you don’t have a job and you’re not rich, blame yourself!” Cain told reporters, that those occupying Wall Street are ¨anticapitalist¨ and un-American. Cain has argued that the wealthy have his god´s endorsement, and as a Baptist preacher he seems to have forgotten Matthew 19.24 that reads πάλιν δὲ λέγω ὑμῖν, εὐκοπώτερον ἐστιν κάμηλον διὰ τρήματος ῥαφίδος εἰσελθεῖν ἢ πλούσιον εἰς τὴν βασιλείαν τοῦ θεοῦ (but few of his comments have any relationship to the Bible that is found in most homes). Mitt Romney, Republican presidential candidate chided the protestors, claiming: “I think it’s dangerous, this class warfare.” What Romney forgets is that class warfare is the result of an indifferent autocracy or theocracy that believes only the most fortunate have any rights. This led the mobs of Paris into a holy war against the aristocrats on July 14, 1789, and it became clarion call for all oppressed people, for the mobs that Romney talks down to in a desire rule the USA had a response for Louis XVI and his cronies, with a special stage set up to receive the elite who were responsible for the class warfare. The ignorance of Romney on all issues is appalling, yet he takes unearned credit for what others have done. The USA needs to adopt Article 10 of the Constitution of the State of New Hampshire and allow open revolution so that the people of the USA, not politicians, can decide the fate of the USA and rid it of those politicians who do not represent their constituents. 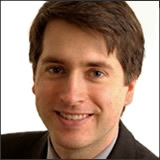 another blogger’s writing that the degree is in Political Science, but Douglas demonstrates no mastery of the subject field in his commentaries–who fails to proof his own compositions. More tragic for me, is to read his responses to other blogs where he hurls insults without substantiation, uses jargon freely that is difficult to understand, and continues to bash those who disagree with him with ungallant offensiveness lacking even basic noble-mindedness or chivalry or courtesy), among others. Eric Cantor must be tried by a court of his peers for treason. If found guilty, federal law requires that he pay the ultimate penalty. 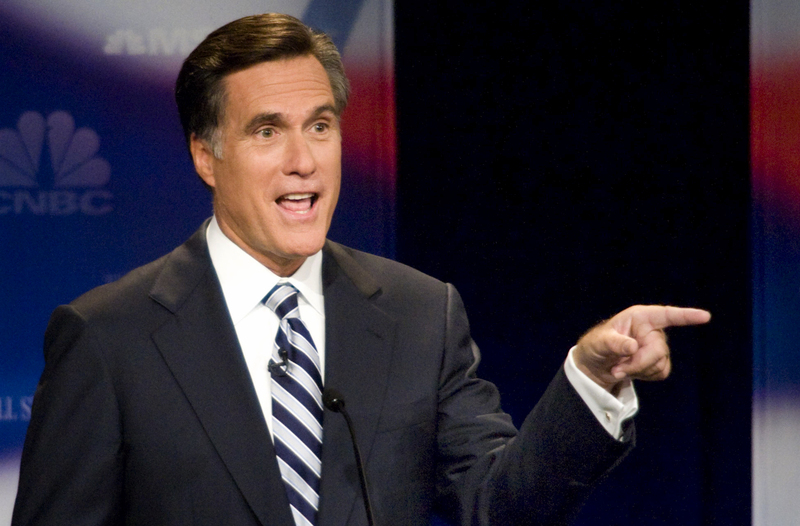 Mitt Romney said that any disaster relief is "immoral"